A meeting table for small-scale discussions. A basis for constructive discussions. 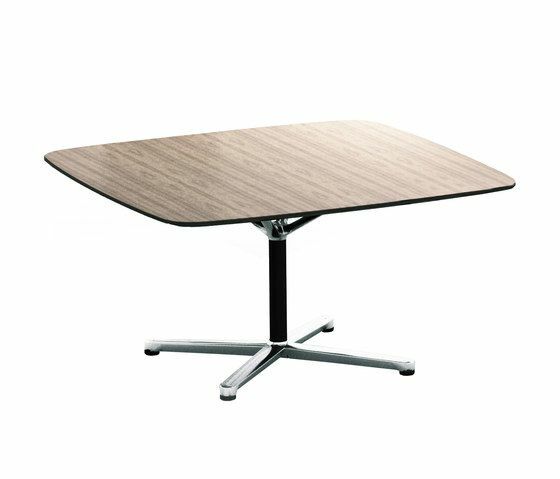 The innovative Filo 4 Star Table has everything that a meeting table needs for small-scale discussions with great results. It owes its extraordinary stability and visual elegance to the striking shape of the table frame, with its four wide arms – “the antlers” – combined with the star-shaped supports. It can be furnished with the Filo Media Panel and combined into an attractive ensemble with the Filo Chair. The Filo 4 Star is available with a round table top or as a soft square – each with sizes of 120 and 140cm – and offers space for up to eight people. A variety of veneers and structural varnishes can be selected for the design of the table surface. The antlers consist of polished die-cast aluminium.